Vanuatu is a nation comprising of many small and picturesque islands that are major tourist attractions. This place is enchanting, exciting, and is bound to make you feel like you’ve entered paradise. One of the most well-known islands in Vanuatu is Efate island. Many tourists arrive at Efate by cruise boat and only explore the island’s most popular attraction: The Blue Lagoon. But there is so much more to Efate Island than just the Blue Lagoon. Take a one-day road trip around it, you would be fascinated by how it has so much to offer. Not to mention, also get some much-need relaxation and refreshment from the monotonous life. The nearby places to this island are incredibly vast and call for a road trip to travelers and families alike. Here is a list of what you can do and where you can go around Efate Island, in Vanuatu. Please press play to watch our video of our time exploring Efate Island in Vanuatu. 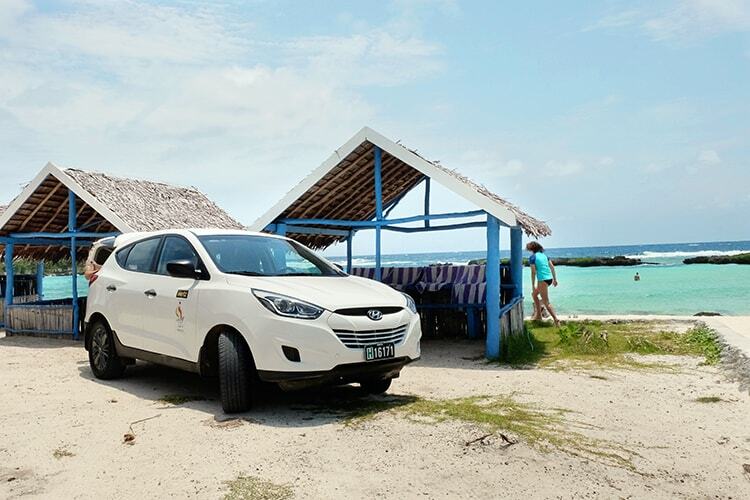 An Awesome Road Trip around Efate Island, Vanuatu! Find below our suggestions of where you can stop on your one-day road trip around Efate Island. We have also included some extra suggestions of where you can stop if you wish to extend your road trip to two days. 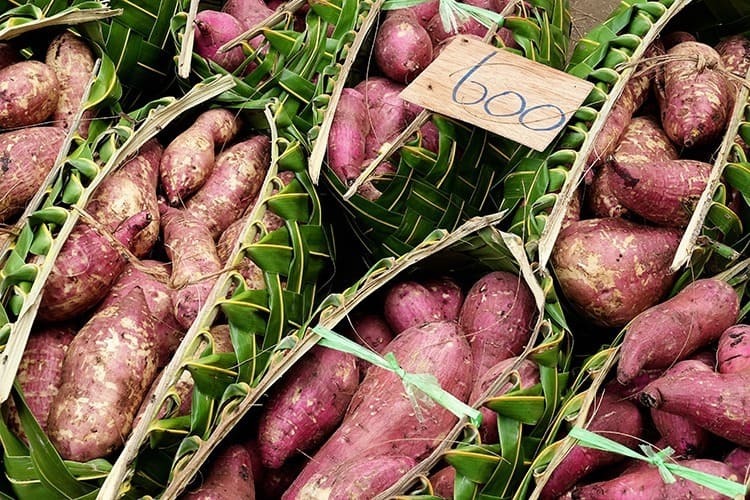 Port Vila market is one of the biggest food markets in Vanuatu. 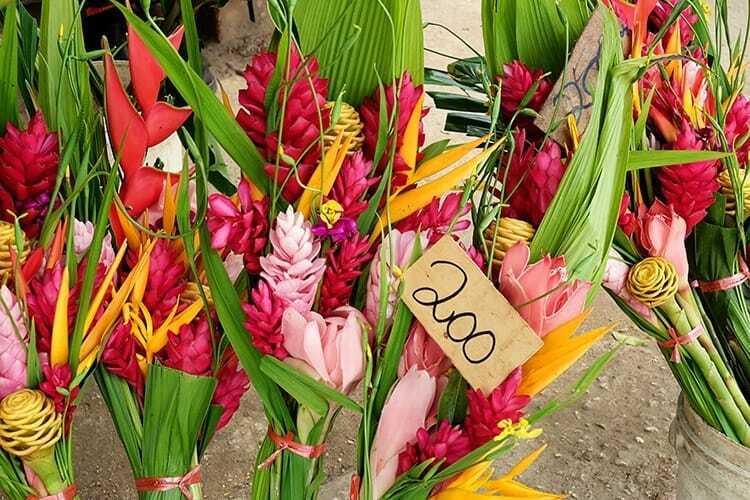 If you’re someone who loves to be a traveler rather than a tourist, then a Port Vila markets are something you should really take into consideration. You’ll get the opportunity to meet many native people, socialize, and learn about their local food and culture. 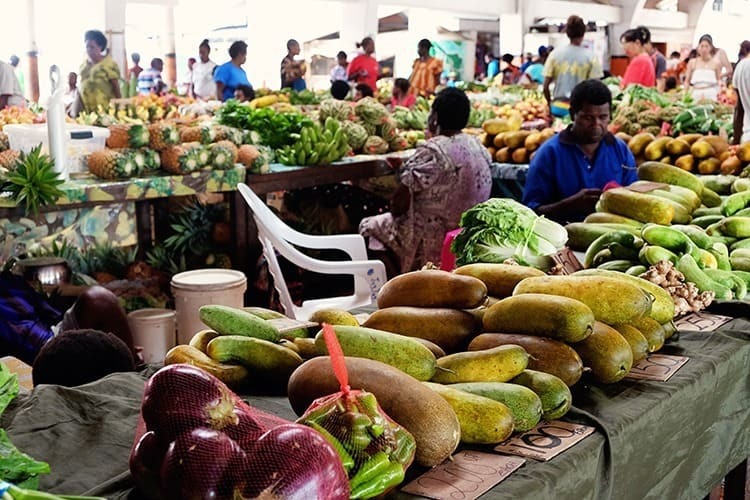 These markets sell fresh organic produce, fresh seafood, spices and herbs, Vanuatu special vegetables and exotic juicy fruits. All these activities and learning experiences make the drive all worth it! This market stays open from Monday to Saturday, from early morning to late at night. 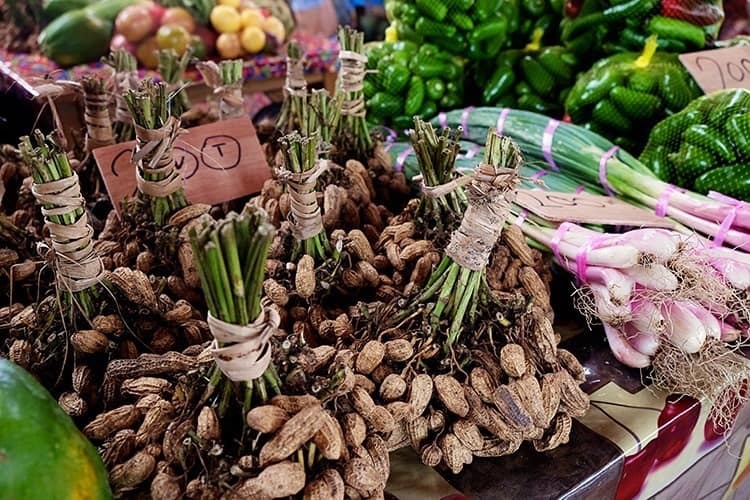 Also, these markets are way cheaper than the regular supermarkets, so that’s a cherry on the cake! Grab some fresh fruit for your road trip. You won’t find a lot of shops or restaurants along the drive, so best to best stocked up for when you need a snack. The Blue Lagoon is a massive swimming hole near the Port Vila. This natural pool is filled with turquoise waters, bright and blue, which is very appealing to the eyes and gives major getaway vibes. The clear blue freshwater arises from an underground spring and is mesmerizing to look at. This blue lagoon is situated very near to the sea, therefore during different time zones. Hence, you’ll experience different waters: both fresh and salt water. You can head to this blue paradise any time of the day and adore the beautiful mangroves, trees, and the entirety of the surrounding natural beauty. You can simply relax or participate in many activities that are offered as tourist attractions. You can swim, play games, or do rope swinging here. This place is approximately 1.5 hours drive from Port Vila, and this stop 2 of the Efate road trip list is definitely worth it. Tip: Whilst they do have toilets and changing rooms on the grounds, we simply wore our swimsuit under our clothes. The lagoon is really deep, so if you are traveling with kids who can’t swim yet, you might want to bring along some floaties. Entry fee is 500 vatu per person. After the Blue Lagoon, comes Eton Beach. Eton beach is situated 2 kilometres away from the Blue Lagoon. 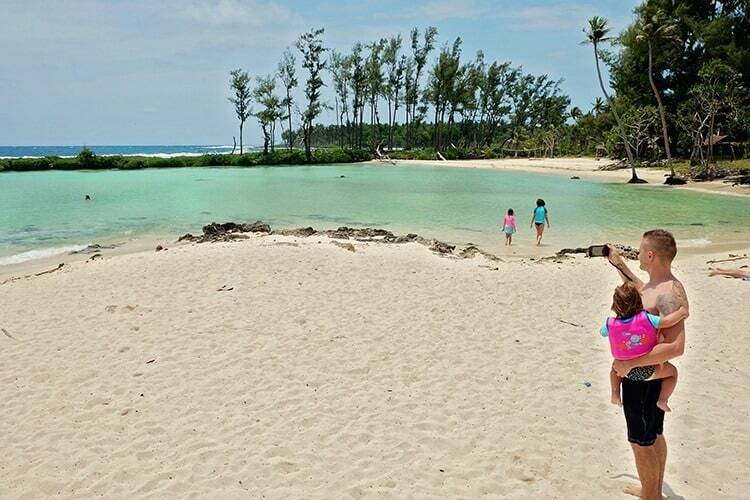 This is a perfect family friendly beach with dazzling white sand and silk blue aquamarine water. Also, the white sand is perfect for sunbathing here. The beach is surrounded by the greenest palm trees and there is a river inlet into the ocean, all of this making for a breathtaking view to admire. The entry fee is 500 vatu per person. Havannah Harbour has coral blue beaches and gentle waves crashing at the golden shore. We made a half-way pitstop here to enjoy some lunch. The Wahoo Bar is located just at the edge of the Havannah Harbour. 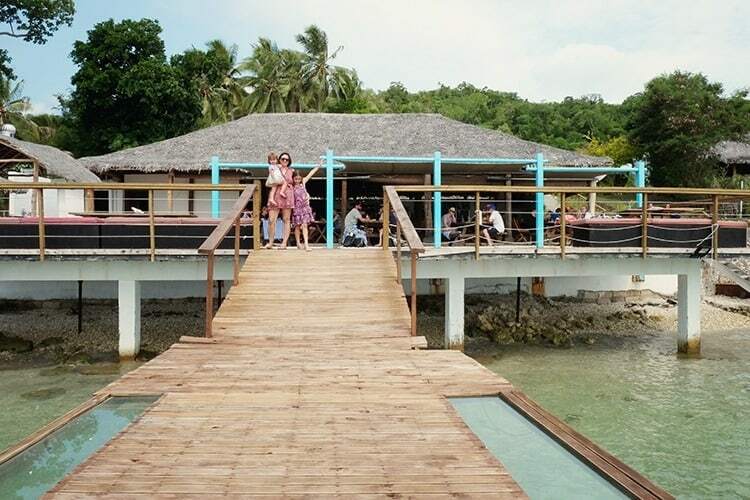 You can have the best of the Efate cuisines here. Freshly caught seafood is the fastest selling variety here. Apart from that, you could savour their specialities like prawn curry, pork ribs, sashimi, fish and beef burgers, and Vanuatu ribeye. This bar is open all 7 days for lunch as well as dinner. 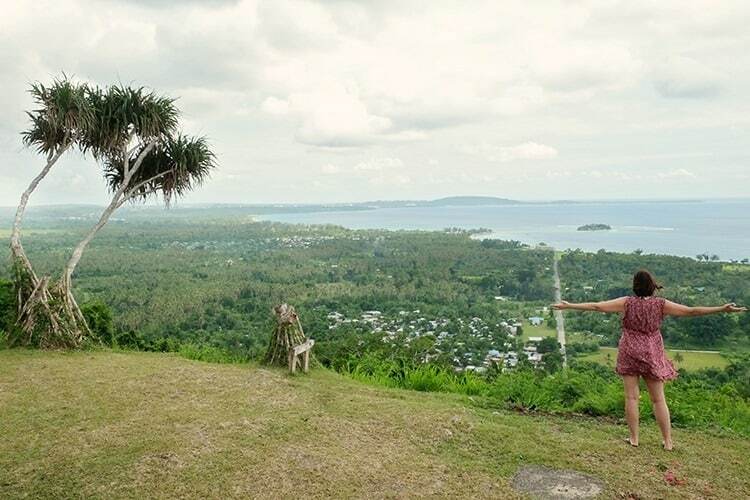 After everything, you can just go to the lookout point of Port Vila. It offers a breathtaking view of the surroundings that will calm your senses and make you forget about the world for a while. The Lookout is a bit tricky to find. It is located before (but close to) Mele Cascades. It is actually on one of the local’s property, so don’t be surprised if they rock up asking for a small fee. Mele is a village just 10 kilometres away from Port Vila. You will have to walk a fair way to reach the waterfall. The walk is beautiful though (but it was so hot on the day we visited!) 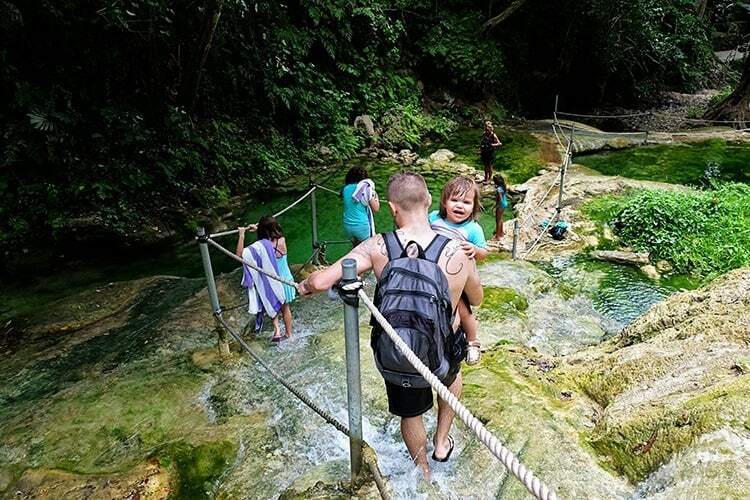 You will be trailing from one cascade of fresh water to another and will reach a stunning waterfall. 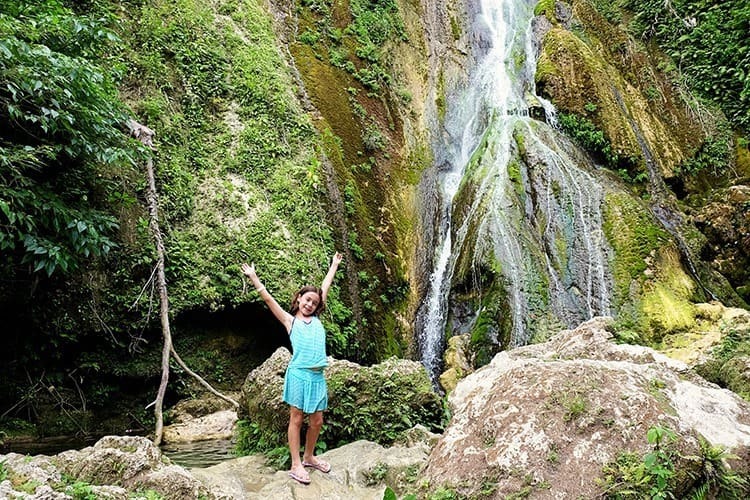 This waterfall is approximately 35 meters high from the ground (the waterfall was pretty small on our visit – but looks spectacular after the rainy season). You can just take a relaxing swim here amidst the lush green trees, chirping birds, and cool breeze. 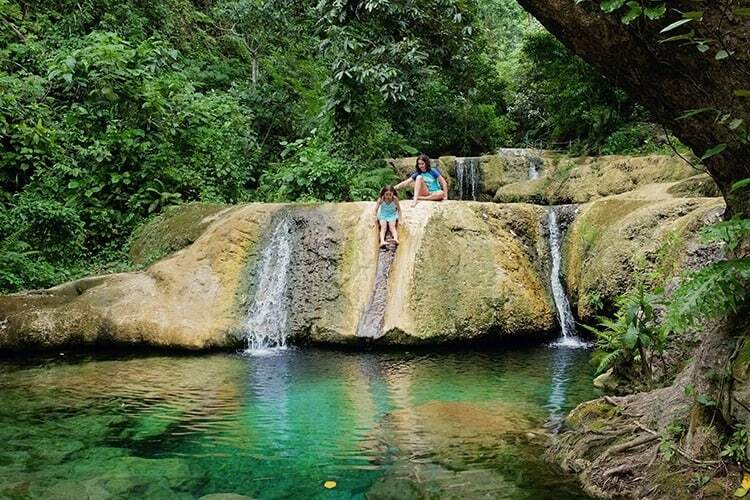 Take a dip in one of the pools or enjoy sliding down some of the natural slides on the rocks. Tip: Do wear some good water shoes, some rocks can be really very slippery. Entry fee is 2000 vatu per person. This is how you can make a one-day road trip around Efate island. But if you happen to love it a lot and can’t just get enough of the surroundings, then you can split the road trip to day 2 as well. Well, that’s the best advice we got when it comes to road-tripping around Efate Island in a day. Are you excited enough to start the journey? Let us know in the comments section below. Don’t miss out on visiting Santo Island in Vanuatu. It was our favourite Island of the two! 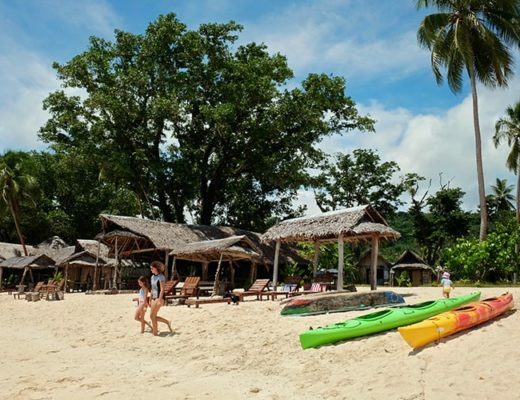 We stayed at both Erakor Island Resort & Spa as well as Holiday Inn Vanuatu. Holiday Inn was BY FAR our favourite. You can read our review on our stay here. Grab more tips on how to visit Efate Island from the Vanuatu Tourism Board. 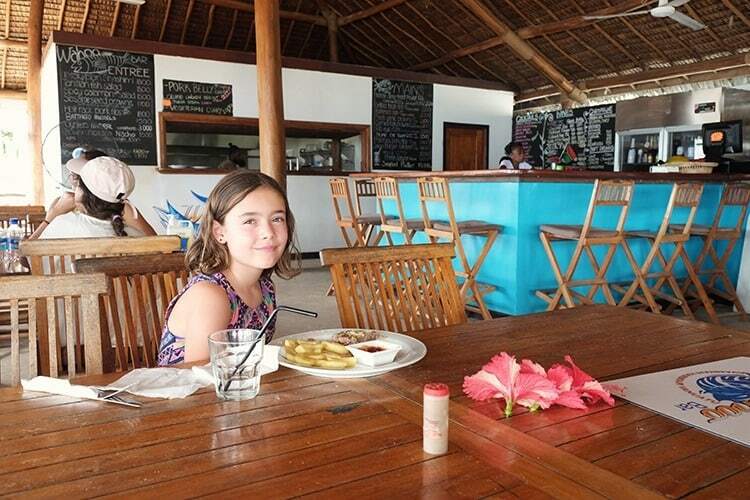 Holiday Inn Vanuatu Review: The Best Family Resort in Efate! Amazing Stay at Ratua Island Resort & Spa at Ratua Private Island!